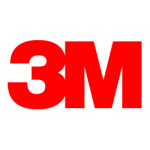 AUSTIN, Texas--(BUSINESS WIRE)--3M today announced a new magnet bonding adhesive system designed to provide electric motor design and manufacturing engineers with an advanced tool for bonding permanent magnets to rotors and stators in high-efficiency permanent magnet (PM) electric motors. The 3M™ Magnet Bonding Adhesive AU-205 is a high-performance structural bonding adhesive system designed to virtually replace messy liquid adhesives to simplify magnet positioning and achieve high bond strength with bond line thickness control. The adhesive can also help reduce rework and waste. The need for a new adhesive system comes as new global energy efficiency standards are being legislated to help reduce energy losses in electric motors. PM motor designs are viewed as a technology platform that can help meet these challenging new requirements. The 3M™ Magnet Bonding Adhesive AU-205 system is built on 3M’s expertise in adhesives and materials. Its construction combines a modified structural epoxy adhesive with a thickness control system, all configured in a low-tack double-sided tape product. The result is an innovative product that offers strong bond strength and chemical resistance, all in an easy-to-convert tape form that is RoHS & REACH compliant and contains zero Volatile Organic Components (VOCs), potentially reducing worker safety requirements. 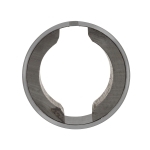 3M™ Magnet Bonding Adhesive AU-205 also improves control of the permanent magnet bond line thickness, which is critical to motor performance. This distance, which is located between the inside diameter of the stator and the outside diameter of the rotor, is known as the air gap. Precisely controlling and minimizing the rotor/stator air gap can help allow a PM motor to attain a greater level of energy efficiency. More information at www.3M.com/MBAadhesive.